The same developers behind Chelsea’s high-profile Walker Tower conversion have started construction on another prewar building originally designed by Art Deco genius and former AIA President Ralph Walker. 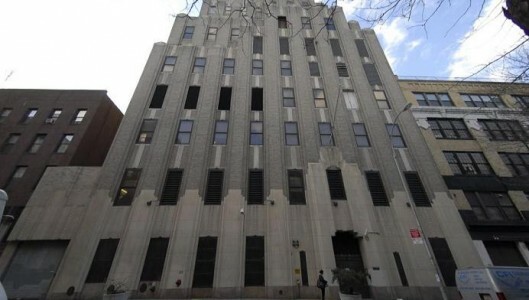 Developers JDS Development and Property Markets Group bought the 435 West 50th Street building on the border of Hell’s Kitchen and Midtown for $20 million last July. There will be 65 residential units across 115,000 square feet in the 300,000-square-foot building. Amenities will include a lounge and fitness center, residential storage and bike storage. The previous owner, Verizon, will keep the lower floors for office space and operations while the condos are built above, The New York Observer reports. Starwood Capital, which also backed the Walker Tower conversion at 212 West 18th Street, invested $25 million in the project last week. The condos are slated to be completed in early 2014 and will be designed by the firm Cetra/Ruddy, which also worked on One Madison Park and Cassa Hotel and Residences. The 435 West 50th Street project will hit the market sometime next year, according to The Observer. Verizon sold the 10th through 16th floors, and portions of the penthouse, ground floor and lower level. The developers did not give the renovation price, but Walker Tower, which is still under construction, is predicted to run over $200 million in renovation costs. 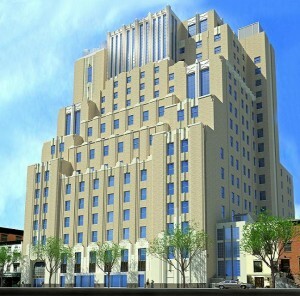 The 50 condo units in the Chelsea project were already 25 percent sold by the June 26 sales launch. The average size of the Walker Tower homes is 3,000 square feet, with units priced between $3,000 and $10,000 per square foot. The developers are considering asking $94 million for a combined duplex on the top two floors, so if you’re a few bucks short of landing Steven Klar’s $100 million CitySpire penthouse, this could be a good deal.